While the growth and expansion of Facebook has been amazing, the evolution of the platform's founder and CEO Mark Zuckerberg has been equally impressive. Given the growing role and influence The Social Network plays in our everyday interactions, Zuckerberg's been forced to take on a lot of responsibility, and for the most part he's handled this extremely well, developing his management style and philosophical approach in line with evolving requirements - not only for the benefit of his business, but for the part it can play in the wider mission of "connecting the world". And all this at only 32 years of age. That philosophy is the focus of a new, almost 6,000 word essay posted to his personal Facebook profile which outlines his renewed vision for the company's future - an update to his original founder's letter, which was published back in 2012. As you can see, these goals are fairly wide-scale ambitions - Zuckerberg's aim is not to outline the latest updates and measures you can expect to see on the platform. But Zuckerberg does provide some indications on how each of these measures can and will be implemented, which will have an impact on future updates and developments. In discussing the focus on Groups, Zuckerberg notes that there's been a significant decline in participation in local communities in recent times, but that online communities are a bright spot, which puts Facebook in a unique position to strengthen such bonds. "We recently found that more than 100 million people on Facebook are members of what we call "very meaningful" groups. These are groups that upon joining, quickly become the most important part of our social network experience and an important part of our physical support structure. For example, many new parents tell us that joining a parenting group after having a child fits this purpose." To this end, Zuckerberg notes that Facebook will look to place bigger emphasis on Groups, even noting to TechCrunch that they'll be looking to implement many of the elements of Pages into the Groups experience to boost engagement. "That might include analytics about what topics are resonating with member, the option to assign a wider variety of admin or moderator roles, and pull in outside apps to expand functionality." 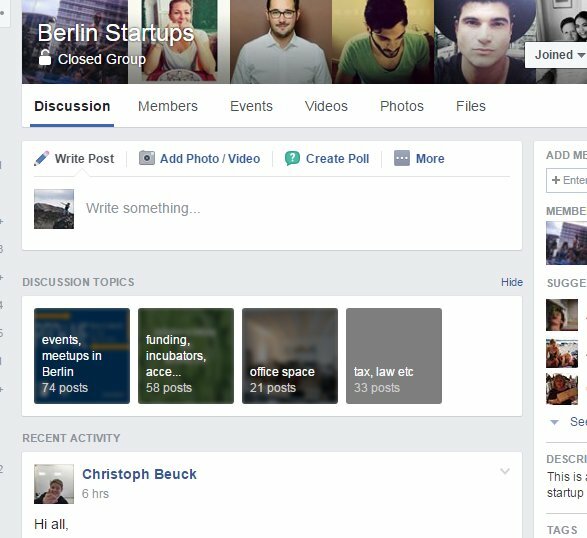 We've already noticed this renewed emphasis - as we reported last month, Facebook sees groups as an "under-appreciated product", and this year, they've already added in new features like member application questions, bio prompts and discussion topics. More than a billion users actively engage in Facebook Groups every month, making it a significant opportunity, and it'll be interesting to see what the renewed Groups focus sees, in terms of new tools and updates. One of the key elements that Zuckerberg discussed with journalists from BuzzFeed is the platform's responsibility to do more to prevent people from hurting themselves and others. "Working on this issue seems personal for the Facebook CEO, who became upset discussing a recent incident on the platform. "A few weeks ago, a girl livestreamed killing herself," he said. "It's hard to be running this company and feel like, okay, well, we didn't do anything because no one reported it to us." Definitely, you can understand how such actions would weigh on the platform's CEO. As such, Zuckerberg's also outlined the platform's renewed focus on detecting and addressing such actions before they reach tragedy, highlighting an expanded use of artificial intelligence and machine learning for this purpose. "Artificial intelligence can help provide a better approach. We are researching systems that can look at photos and videos to flag content our team should review. This is still very early in development, but we have started to have it look at some content, and it already generates about one-third of all reports to the team that reviews content for our community." This new process raises privacy concerns around how Facebook is 'reading' and interpreting platform content, but Zuckerberg notes that this element also remains high on their agenda. "We are strong advocates of encryption and have built it into the largest messaging platforms in the world -- WhatsApp and Messenger. Keeping our community safe does not require compromising privacy. Since building end-to-end encryption into WhatsApp, we have reduced spam and malicious content by more than 75%." Facebook's been developing their AI capabilities for some years now, and they're slowly moving towards enabling them in live environments. 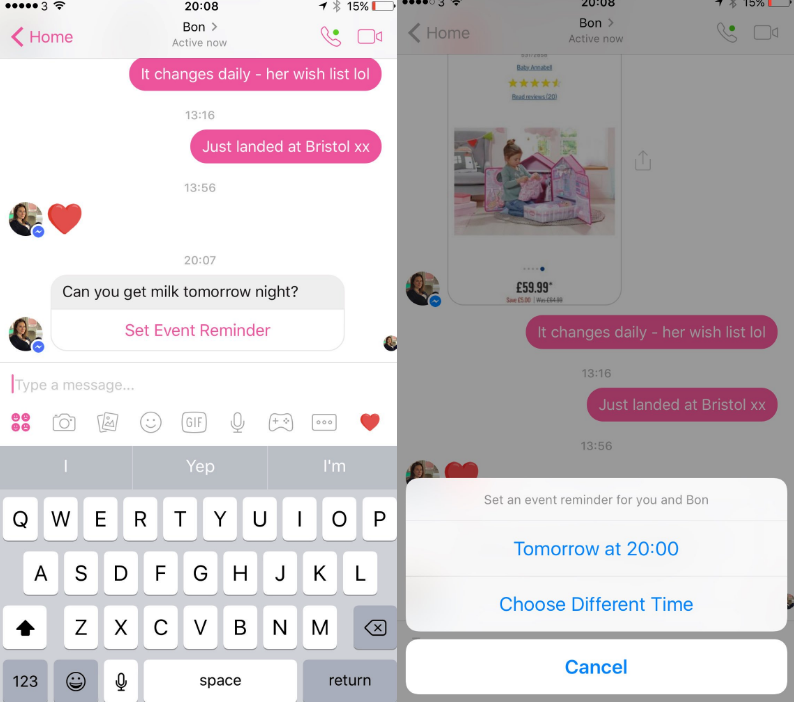 Some recent examples include the addition of payment prompts in Messenger which alert you when you owe someone money based on the text of your exchanges, and a new option to set yourself a reminder based on message content. Those tools are going to continue to expand into new areas, which could have significant benefits in detecting and removing questionable content, and providing help to people in need. It's a delicate balance, but anything that can be used to provide help on this front should be encouraged. 'Fake news' has become the buzz term of 2017 - it's been used so much, in fact, that it's almost lost all meaning already. Facebook has been singled out by many as the main facilitator of the spread of fake news, with the controversial News Feed algorithm being seen as a key component in the dissemination of such content to unwitting audiences who simply don't know any better. And while Facebook - and Zuckerberg specifically - has played down the impact on fake news content on the platform (saying it accounts for only around 1% of content shared), Zuckerberg notes that they do need to do more to "increase the diversity of ideas shared". "The two most discussed concerns this past year were about diversity of viewpoints we see (filter bubbles) and accuracy of information (fake news). I worry about these and we have studied them extensively, but I also worry there are even more powerful effects we must mitigate around sensationalism and polarization leading to a loss of common understanding." Zuckerberg says that social media provides more diverse viewpoints than traditional media ever has - a line which echoes similar sentiment from Facebook COO Sheryl Sandberg - while suggesting that a bigger problem may be the over-simplification of complex ideas to fit into social media's abbreviated communication format. "Social media is a short-form medium where resonant messages get amplified many times. This rewards simplicity and discourages nuance. At its best, this focuses messages and exposes people to different ideas. At its worst, it oversimplifies important topics and pushes us towards extremes." Zuckerberg goes on to highlight the measures they're taking to address this - specifically, the recent News Feed algorithm update which reduces the reach of content that users aren't sharing or reading in-depth, which are signals that the headline was misleading. Zuckerberg notes that there are many steps like this they can take to reduce sensationalism, all of which are under investigation. Zuckerberg also says that they're taking steps to grow local news providers, developing formats better suited to mobile devices and improving their business models for news organizations to create a more diverse news eco-system. There's no silver bullet for this issue, but Zuckerberg's statements show that the platform is moving to address the problem and create a more expansive news experience. Zuckerberg also notes that they're working to facilitate more thoughtful civic engagement. The key area of concern Zuckerberg highlights here is the low level of voter participation in the recent US Presidential election, signalling that Facebook can be used as a platform to increase civic discourse are raise awareness of key issues in order to boost these numbers. "In India, Prime Minister Modi has asked his ministers to share their meetings and information on Facebook so they can hear direct feedback from citizens. In Kenya, whole villages are in WhatsApp groups together, including their representatives. In recent campaigns around the world -- from India and Indonesia across Europe to the United States -- we've seen the candidate with the largest and most engaged following on Facebook usually wins. Just as TV became the primary medium for civic communication in the 1960s, social media is becoming this in the 21st century." There are no specific tools or measures here, but Zuckerberg does note that they're working to build new tools that encourage more thoughtful civic engagement. And Zuckerberg's last key point focuses on "building an inclusive global community", which is back along the lines of Zuck's long-stated mission to "connect the world". Zuckerberg notes that one of the challenges of creating a truly global community is that cultures are different around the world, and people are sensitive to different things - what's deemed inappropriate in one nation might be totally acceptable in another. As such, Zuckerberg says that they're working on a new system to determine the cultural norms for each community, which will seek the opinions of local users to inform their process. Users will also be given more control over what they, personally, deem offensive or inappropriate - and if they opt not to enact such measures on their own behalf, they'll default to what the majority of people in their region have chosen. "Although we will still block content based on standards and local laws, our hope is that this system of personal controls and democratic referenda should minimize restrictions on what we can share." This is very complex area - Facebook, as you may recall, raised the ire of many users last year when they removed an iconic image of a naked girl, which was taken during the Vietnam War. As Zuckerberg notes, different regions have different interpretations of such content, and Facebook can do more to address the individual needs and concerns of each area to create a better user experience. It's a fairly exhaustive outline from Zuck, and as noted, there's not a heap of product detail, but it's interesting to note where their focus lies and what they'll be looking to address moving forward. 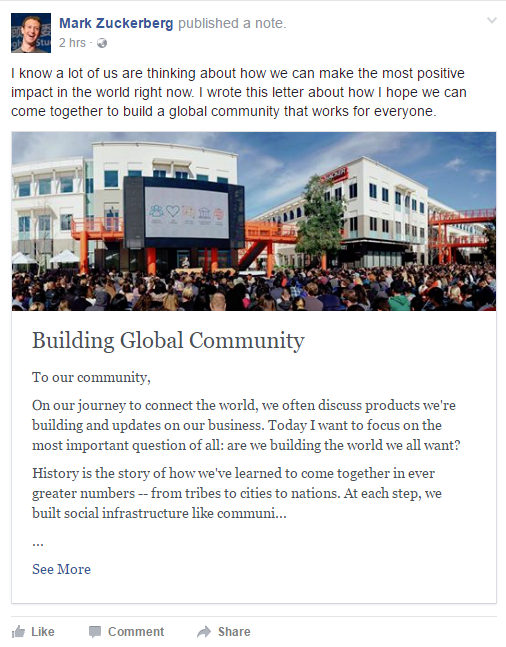 You can read Zuckerberg's full 'Building Global Community' outline here.